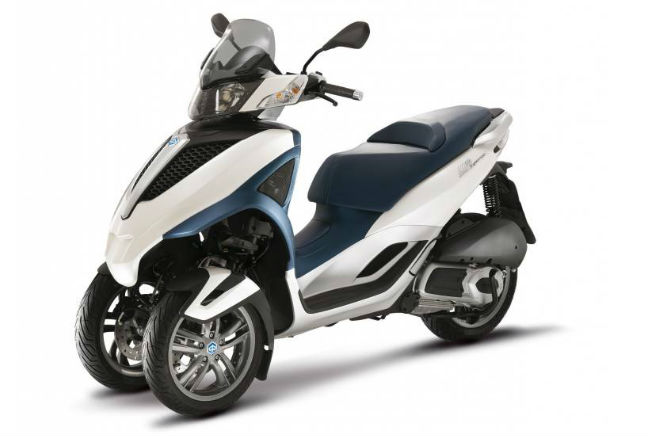 It wouldn’t be a top ten without at least one left-field pick and in this list that comes in the form of the Piaggio MP3 Yourban 125 three-wheeler. Now, the MP3 might not win you any jealous or admiring looks however you might secure a few surprised and inquisitive ones. As far as motorbikes and scooters go, you don’t get much safer than a three-wheeled one. While the additional wheel instills added confidence and stability around corners, it does detract from the performance of the Italian oddball. The extra weight slows the MP3 and it’s not the most responsive model to ride however, if safety is your primary concern the MP3 Yourban might be an option, despite its near-£5,000 pricetag.